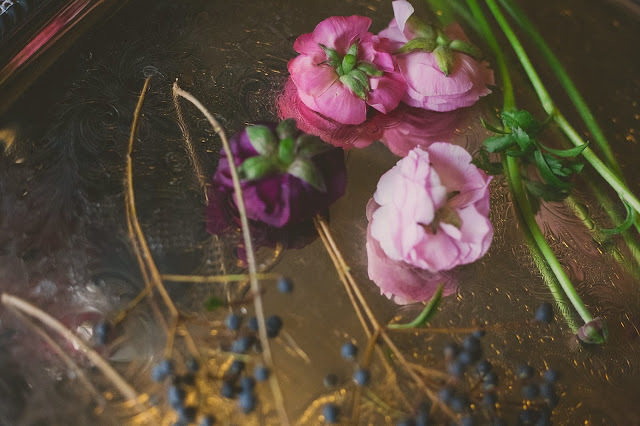 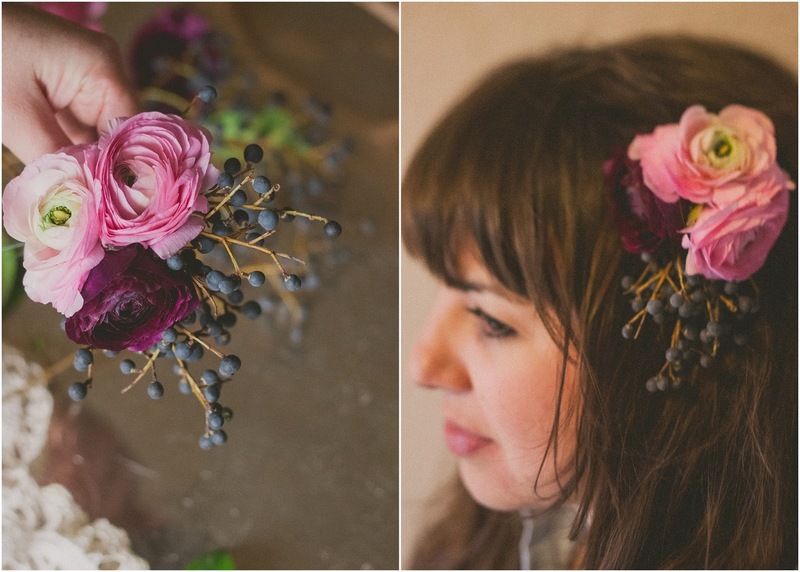 this week i made a simple hair clip using rannunculus and privit berries. 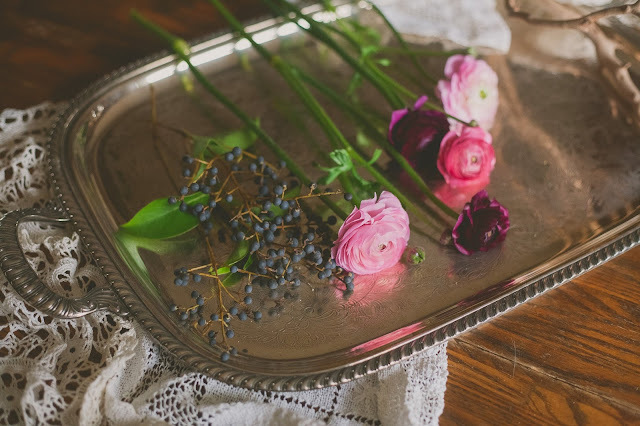 again, the idea here was to create something simple and beautiful that can be worn out day or night. 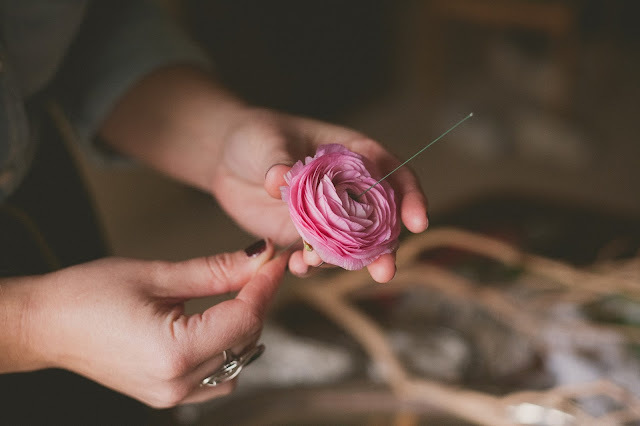 first step is to trim off your floral stems, i then wired the rannunculus, using a hairpin method, placing the wire through the bottom center of the flower, then bending the wire back through the top to create a loop so the wire doesn't pull through the flower. 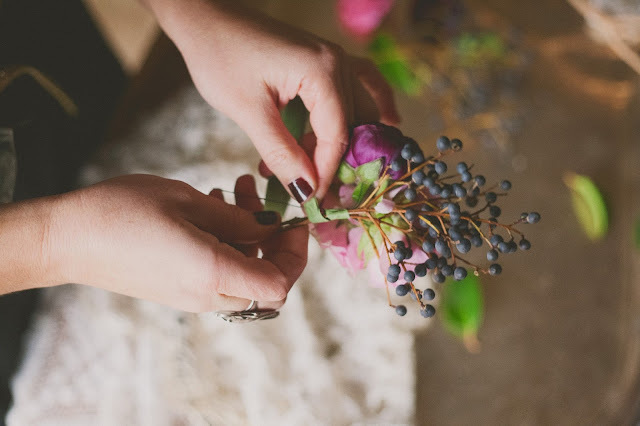 i then wrapped the wired flowers and some privit berry stems together using floral tape. the floral piece can now be bobby pinned into your hair.